Let’s be honest: what gets lost in translation is often funny. This is the case in David Henry Hwang’s new comedy, which is full of misunderstandings when an American businessman travels to China to kickstart his family’s sign-making business (how ironic). In addition to his financial endeavors, Daniel (Gary Wilmes) engages in an affair with a strong-willed Chinese woman (Jennifer Lim) that reawakens his character. Yet Daniel quickly discovers that business and personal affairs in China are difficult to navigate when he barely understands the language. 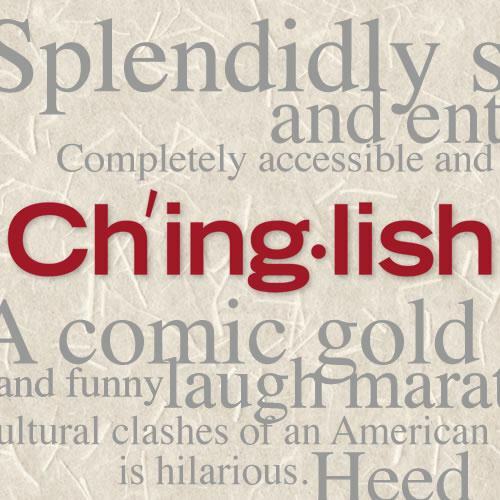 The business dealings of Chinglish are thrown about at rapid speeds, and between Daniel’s complete ignorance of the language and the Chinese interpreters’ inability to grasp English colloquialisms, much is butchered. And riotously so, with every passage displayed above the set in subtitles. The result is an absolute delight. Anyone who ever struggled in high school foreign language classes (soy mucho of us) will appreciate the innocent and clueless misspeaking. 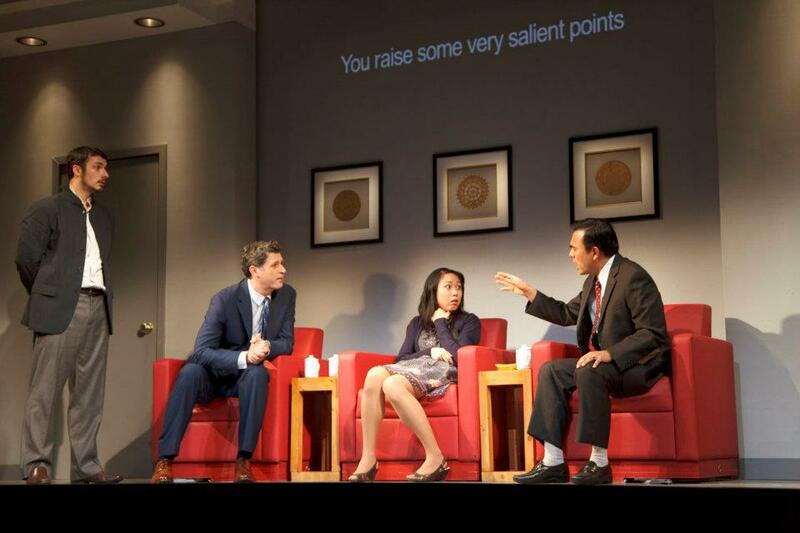 Furthermore, the joke in Chinglish is abundant throughout the play, and Hwang never lets it grow stale. Projection designers Jeff Sugg and Shawn Duan have seamlessly blended the titles into David Korins’ puzzle-like, stunning set, creating a clean and pleasing visual. Not understanding another language has never been so much fun.